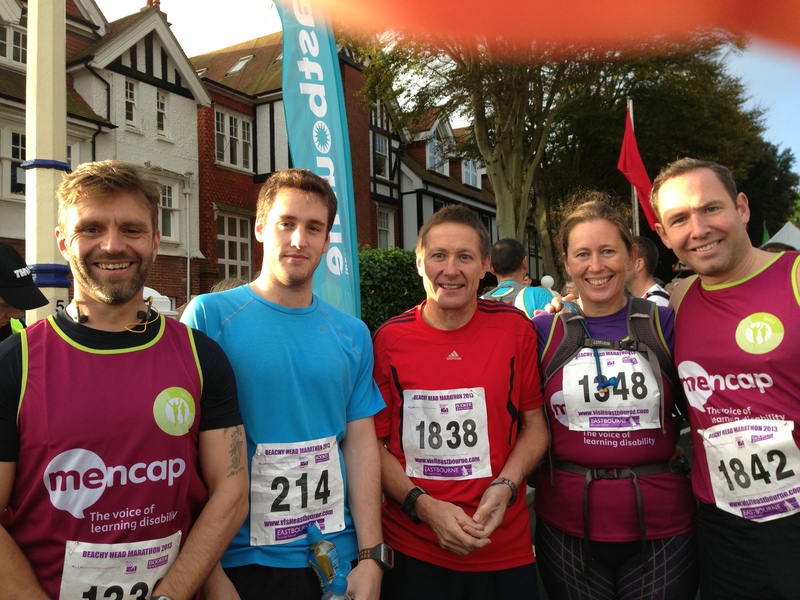 Yes, I AM talking about running the Beachy Head Marathon. 26 glorious miles of off road mayhem across the downs and cliffs around Eastbourne with the added bonus of over a 1000 metres of ascent. As you can see from the profile, the course was pretty hilly but what you can’t see is how beautiful it is. We were almost entirely off tarmac, lots of soft turf along the south downs way, with some interesting and muddy ascents and descents through woodland. 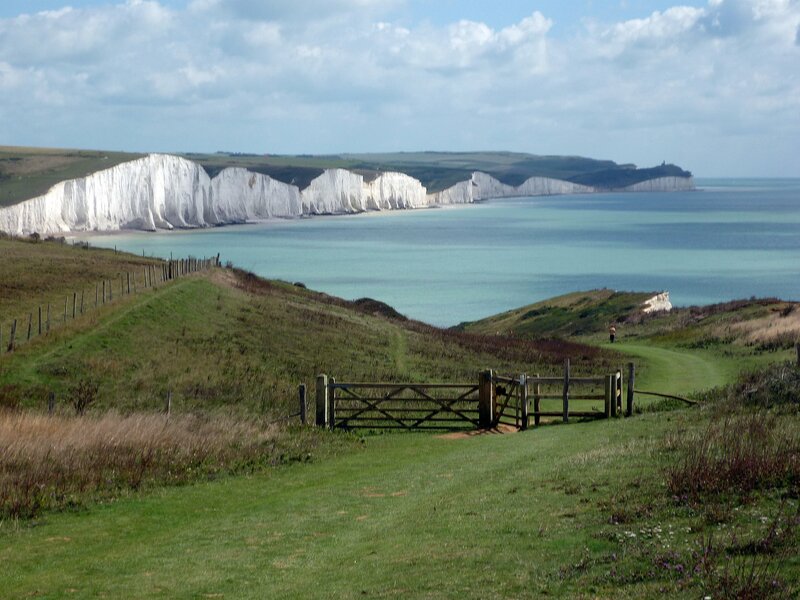 And then a final glorious few miles along the cliff tops, including the infamous Seven Sisters – seven ups and downs. I was nervous before we set off, partly because I had just met some of my fellow MENCAP runners for the Marathon Des Sables. All fantastic guys but left me feeling totally inadequate in terms of running experience, muscles AND tattoos! The run itself was great. I like the ups and downs because your legs never get that fatigue of having to work the same muscle groups that you get in a flat race. As usual, I was speedy on the downhills, overtaking on all fronts, and then puffing on the ascents, being overtaken on all fronts. The good news was that the last mile was all downhill so I significantly improved my position and felt great racing for the line. Also I have to say that hot tea and buns at the checkpoints are a real morale boost – not to mention energy boost when you add three spoons of sugar. I had made a bit of a mistake with my eating that is an invaluable lesson for next time. I had two bagels that night to carbo load and then a triple helping of oat muesli in the morning. Because I don’t eat that much wheat normally and also not that size of helping in the morning, my stomach swelled up and I couldn’t eat anything during the race except for dates. Low point was being overtaken by a group of three ladies clearly in their seventies and one of whom was injured. The high point was the last mile downhill – sprinting like a gazelle (kind of) being chased by a lion! My time was 6.42 and I was in the third quarter. I’d highly recommend the marathon to anyone who fancies a good run next year!